Why are we the way we are? Why do some of us find it impossible to calm a quick temper or to shake anxiety? The debate has always been divided between nature and nurture, but as psychology professor Daniel P. Keating demonstrates in Born Anxious, new DNA science points to a third factor that allows us to inherit both the nature and the nurture of previous generations—with significant consequences. 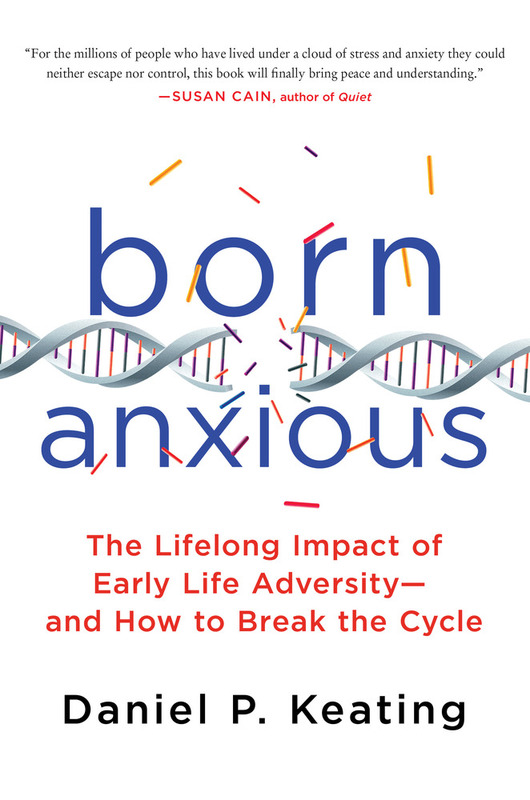 Born Anxious introduces a new word into our lexicon: “methylated.” It’s short for “epigenetic methylation,” and it offers insight into behaviors we have all observed but never understood—the boss who goes ballistic at the slightest error; the infant who can’t be calmed; the husband who can’t fall asleep at night. In each case, because of an exposure to environmental adversity in utero or during the first year of life, a key stress system has been welded into the “on” position by the methylation process, predisposing the child’s body to excessive levels of the stress hormone cortisol. The effect: lifelong, unrelenting stress and its consequences–from school failure to nerve-wracking relationships to early death. 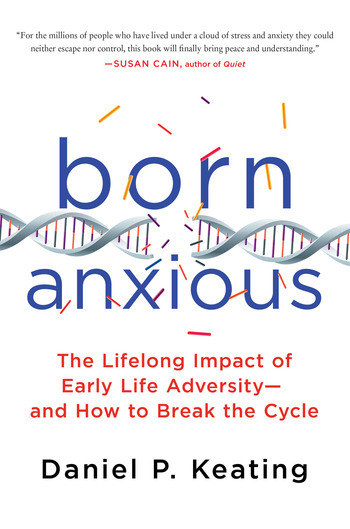 Early adversity happens in all levels of society but as income gaps widen, social inequality and fear of the future have become the new predators; in Born Anxious, Daniel P. Keating demonstrates how we can finally break the cycle. DANIEL P. KEATING is a professor of psychology at the University of Michigan, and received his Ph.D. at Johns Hopkins. Keating has conducted research at leading North American universities; at Berlin's Max Planck Institute; and with the Canadian Institute for Advanced Research, where he was a fellow for two decades and led the program in human development. He focuses on developmental differences: cognitive, social, emotional, and in physical and mental health. He resides in Ann Arbor, Michigan.